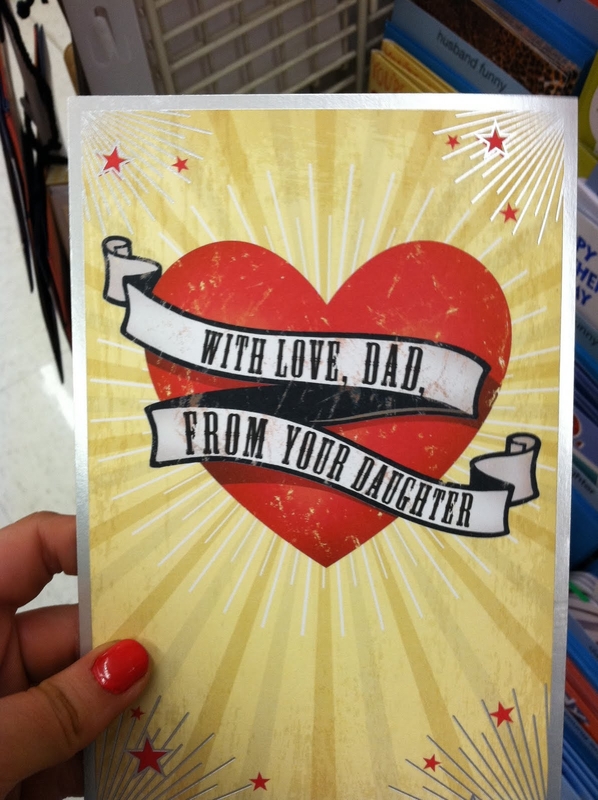 The perfect card for girls with Daddy issues: Oh the funny things you find at Harmons. Feliz Papi’s Day. I hope that you are having a great time globe wondering with Mami. Wish jew were here. Dinner date when you stop pretending to be Latin American and come home to visit me. This entry was posted in happy father's day, papi, Ricardo Johnson by Brooke. Bookmark the permalink. lol at your note to your dad. remember when we went on a double date with our dads to the red iggy and the jazz game? that was fun…hope we can do it again in the near future!! !